What is mesothelioma? Why am I seeing so many commercials related to it? “Mesothelioma” is a rare form of cancer that typically involves the lungs, but can also affect the lining of the abdominal cavity (peritoneum) and the lining of the heart (pericardium). The only known cause of this cancer is exposure to asbestos. The recent increase of mesothelioma advertisements is due in part to the unusually long latency period between the exposure to asbestos and the development of mesothelioma. The National Institute of Health and the Center for Disease Control estimate that latency period to be between 30 and 50 years. Asbestos use in the United States peaked in 1973 when an estimated 1.6 trillion pounds were used. Thus, when you consider that many of the workers who were exposed to asbestos during the 1970s are now being diagnosed with mesothelioma, the prevalence of commercials makes sense. Sadly, countless industry workers were exposed to asbestos even though many manufacturers knew that the material was dangerous. Further, the United States government did not attempt to regulate asbestos exposure prior to the 1970s and even then it took many years for meaningful regulations to be enacted. Asbestos products were used in a wide range of applications. Many of these products resulted in asbestos exposure to the workers who manufactured them as well as others who used them. Industries involved include shipyards, refineries, power plants, steel plants, heating and construction, among others. Symptoms of mesothelioma include shortness of breath, cough, chest wall pain, and weight loss. A chest x-ray or CT and ultimately a biopsy will assist in forming a diagnosis. Treatment options include chemotherapy, radiation therapy, and sometimes surgery. However, even with aggressive treatment, mesothelioma often carries a poor prognosis. Few workers knew that they were being exposed to asbestos. Despite knowledge of the risk, many employers did not notify their workers, or take steps to protect them from exposure. In most cases, symptoms of mesothelioma will not appear until many years after asbestos exposure. If you or a loved one have been diagnosed with mesothelioma or were exposed to asbestos, you may have a personal injury claim. 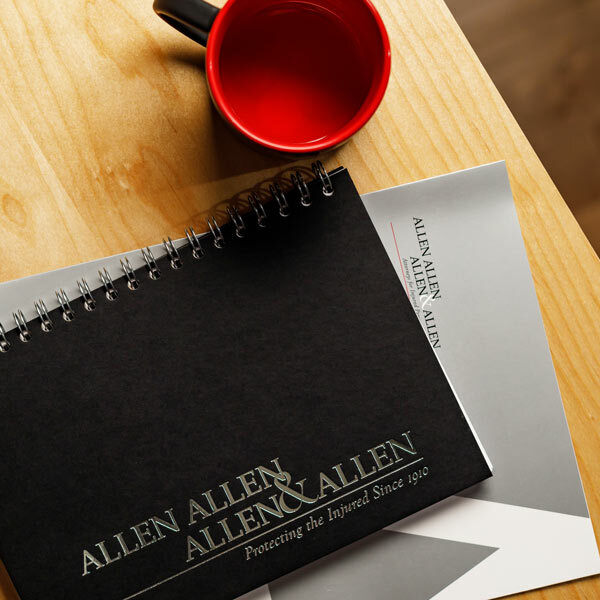 For more information, call one of the attorneys at personal injury law firm of Allen & Allen for a free consultation to learn about your rights. See information at “Malignant Mesothelioma Mortality — United States, 1999–2005”, Centers for Disease Control & Prevention website at http://www.cdc.gov/mmwr/preview/mmwrhtml/mm5815a3.htm. See “How is Asbestos Used?”, National Cancer Institute, U.S. National Institutes of Health, at http://www.cancer.gov/cancertopics/factsheet/Risk/asbestos.